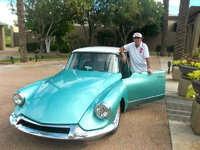 Have you driven a 1960 Citroen ID? The Citroen D Model Was The Most Advanced Car To Come Along In The 50's... — The DS was introduced to the public on Oct 6 1955. One year later the ID was introduced. It was a simpler version with Manual transmission, manual steering.A more conventional yet different braking system. The famous Hydronumatic suspension was preserved for this model. The D model had tear drop aerodynamics that were well ahead of it's time when most cars were shoe box in design the D model had an honest .38 Coefficent of drag with 19.5 square feet of frontal area. It was slick without the use of the add on ground effects which you see today. 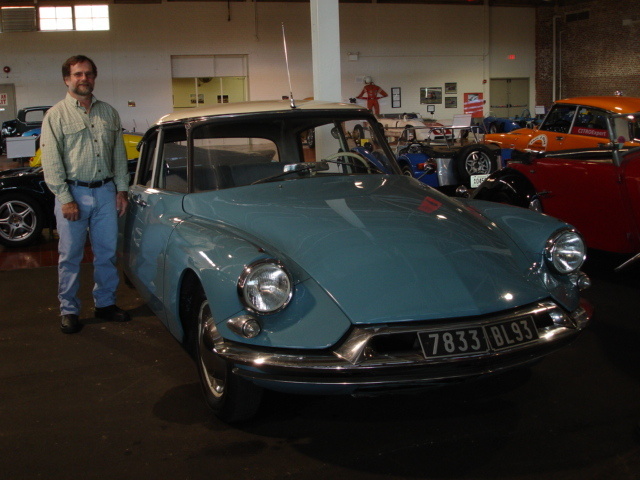 The Citroen ID also returned 28 to 30 MPG at a time when most american cars got 7 to 10 MPG. The Citroen D series is recognized as a "Milestone Car" from 1956 through 1963. What can I say? The day the D Series Citroen was introduced the automotive world changed. Today's modern car with aerodynamics, front wheel drive, rack and pinion steering, and unitized body was born. Pros: A modern car in an unforgettable French design. You either like it or hate it. But, the interesting thing I find about owning these cars is that, as time goes by, more cars begin to look like this. Ahead of it's time? Think about it. Cons: The brakes in the early ID's had a master cylinder over a high pressure spool type hydraulic valve that, when it malfunctioned, could potentially put you through the windshield and leak badly. But, if it is restored properly and a few modern updates are made, it is a trust worthy system. Looking for a Used ID in your area?